HomeTagsPosts tagged with "sunset eyes"
Gone are the days of the classic dark, black smokey eye ladies. It's a new dawn, it's a new day (oh, the irony), and sunset eyes are what the world of makeup is about right now. That's right, incorporating oranges, yellows and purples into your eyeshadow routine is a must… and it looks fantastic. Thanks to the gorgeous ladies at Refinery 29, we have a simple step-by-step list on how to achieve this gorgeous look. 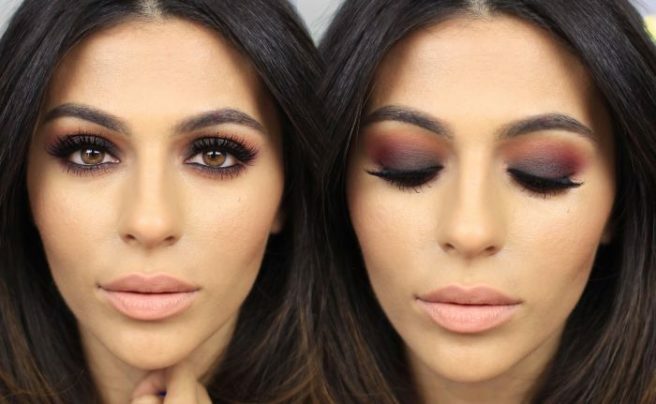 "Using a fluffy blending brush, dust a matte rose shadow into your crease to define your eyes, and follow up with just a touch of dark purple shadow in your crease. Make sure to blend it to avoid harsh lines" they explain. The next step explains how to achieve that fabulous, sunny glow: "Using a dense shadow brush, press matte orange shadow all over your lid and top it with a layer of sparkly gold shadow. Grab the matte rose colour you used in the beginning and sweep it along your lower lash line." And finally, to finish off this sunset look, simply "draw matte burgundy eyeshadow along your upper and lower lash lines, winging it out slightly on your upper lash line." BOOM: you've got yourself a beautiful sunset smokey eye.